Focus Kitchens and Bathrooms offer an entire renovation package. 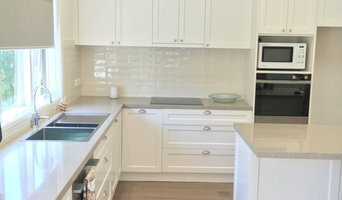 We are proudly a Australian family owned company that manufactures our kitchens and cabinets locally using only the very best Australian made and European components, and supporting local tradesmen here in Melbourne. As we have 25 years experience in the building and construction industry we are able to offer Complete Renovation Service. Where we can be with you every step of the way; from design, demolition, installation, plumbing, electrical and even the clean up, can all be executed by our skillful employees. Renovating can be a traumatic experience if you don't have the right people working with you. Our focus is on giving you total peace of mind that your project is completed on time, budget and to the highest standards possible. Focus on design. Focus on quality. Focus on service. We are an interior design and styling consultancy focused on helping people to make their homes beautiful inviting spaces. We work with people to create sanctuaries, the place where they’re comfortable and content, a place to welcome friends and family. Contact us to help create your beautiful abode. As a boutique residential building design and documentation consultancy, we specialize in taking the stress out of design, building and planning permit requirements for both our clients, and developers, across Australia. Our design approach is simple; respect the client and respect the site. We believe the only way to truly produce exceptional work and fully realize design potential is to welcome every project with enthusiasm and a commitment to what makes it unique. “The essence of Interior Design is about people and how they live. It is about the realities of what makes for an attractive and meaningful environment”. 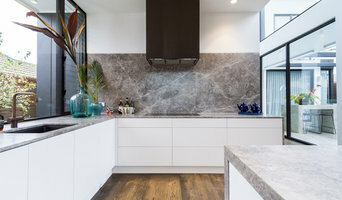 Logie Interiors is an experienced and highly regarded boutique interior business, who offer a comprehensive, personalised and bespoke design and decorating service, catering to the residential and commercial markets. We offer a full interior design service, from concept through to completion, delivering professional well-documented solutions that exceed expectations and add value to projects. We work with clients directly and collaborate with architects, builders, sub-contractors, wholesales and furniture suppliers towards creative, intelligent, practical and cohesive interiors. 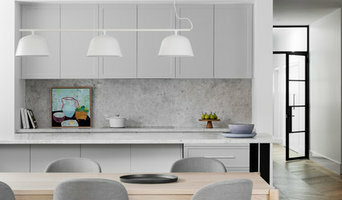 No job is too big or small, from multi-unit developments, custom built homes, renovations, kitchen, bathroom, laundry design, custom furniture, colour selection schemes. Our vast hands-on experience and knowledge is a strong conviction within the interiors we create. Our attention to detail is evident through the entire design and decorative process. MG Gardens is an award-winning landscape design and horticultural consultancy firm based in Bayside, Melbourne. Meg Geary specialises in residential design, natural playground design, and planting design for homeowners and professionals. She also offers garden consultations and plant sourcing services for homeowners and professionals alike. Our aim is to design beautiful gardens that are responsive to each client, their needs, house architecture and surrounding landscape, creating a sense of place and a garden that is unique to each project. Our strong horticultural focus results in a rich and textured planting palette, suited to the style of your garden, the site conditions and your lifestyle. Our services include planting design, horticultural consultancy and full landscape design services. We look forward to working with you on your next project. Reach out to multiple professionals — especially for larger projects — and don't settle for the first bid you hear. Comparing multiple Ormond, Victoria professionals' bids and experiences can help you find the one that’s best for you. Ask a lot of questions now, so you won't have unexpected answers later. Find a home design professional: Narrow down your search by type of professional and location. 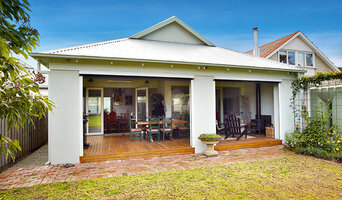 Browse Ormond, Victoria portfolio photos, read client reviews and contact each Ormond, Victoria professional for more information. Check out the information in the specialised professional sections too for tips on how to hire the right professional in Ormond for your project.